This recipe is from Bob’s Red Mill. I bought a small bag of cornmeal because I wanted to try making cornbread and how convenient that there’s an easy recipe for it at the back of the label along with muffin and pancake recipe which I’m planning to try, too. Cornmeal is not a staple in Filipino cooking so I don’t really know anything about it except for corn tortillas. I got the medium grind cornmeal, I’m not sure if this is going to work for tortillas, I’ll try and share the outcome here. Back to the cornbread recipe, it came out alright, despite lacking an egg which I replaced with some chia seeds. 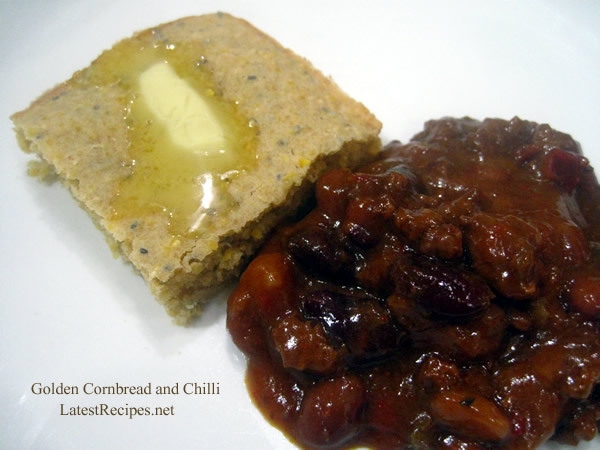 This golden cornbread barely has sugar in it so it’s perfect for chillis or stews. If you’re looking for a soft, sweet, cake-like texture for a cornbread, this is not it. Although I think if you try making it with the finely ground cornmeal and not use whole wheat flour, the texture and mouth-feel of the the cornbread will be more to your liking. 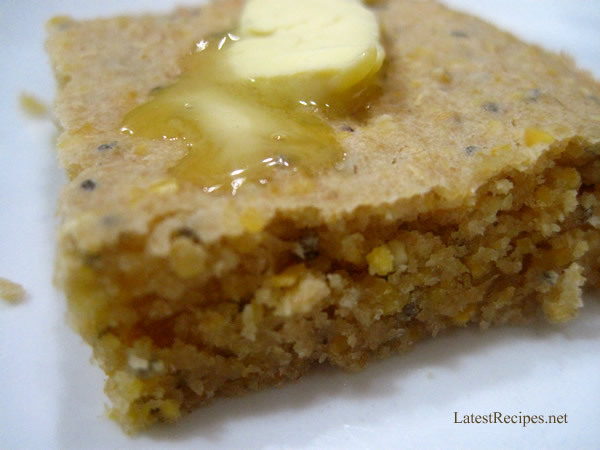 Making this cornbread, btw is SUPER EASY!! Promise. 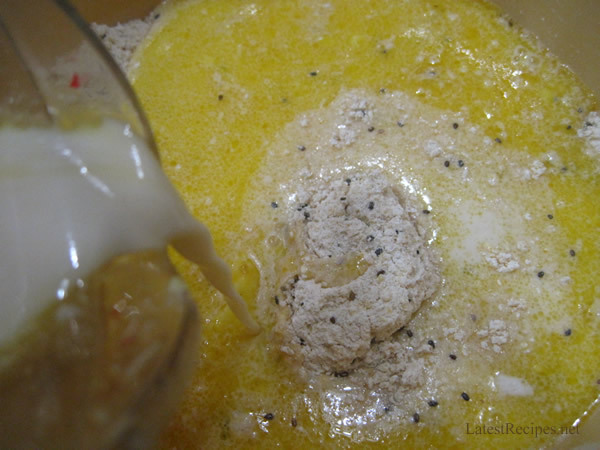 Add in the wet ingredients.. pour in a greased pan and bake. Preheat oven to 425 F. Grease an 8-inch square pan, set aside. Add egg, milk and butter. Beat until smooth, about a minute. DO NOT OVERBEAT. Pour in a greased pan and bake for 20-25 minutes.